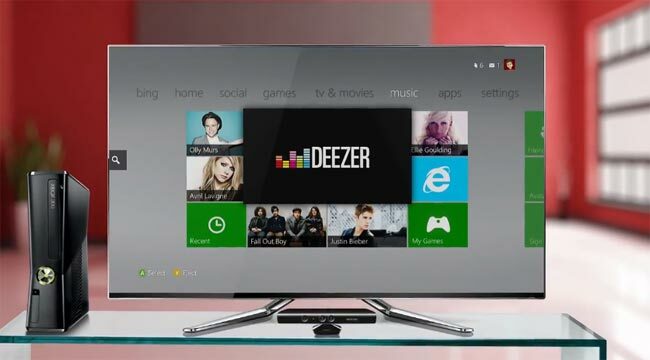 Deezer has announced the launch of a new app for Microsoft’s Xbox platform, the news comes on the day that Microsoft will unveil their new Xbox console, and the Deezer app will be available to Xbox Live users in Europe. On top of giving you access to over 20 million of the hottest tracks and thousands of themed radio stations, the new Deezer app for Xbox incorporates the latest Kinect voice and gesture technology so that you can take a break from dancing your socks off to navigate the specially designed screens using your whole body. What’s more, each console can connect to up to three Deezer accounts simultaneously, giving you even more opportunity to share and discover music with friends. Once you have decided who the Halo champion is, you can do battle for the title of King of the Deezer Playlist. The new Deezer Xbox app is now available to download from Xbox Live, you will need to subscribe to premium+ on Xbox Live to use all the features of the app.